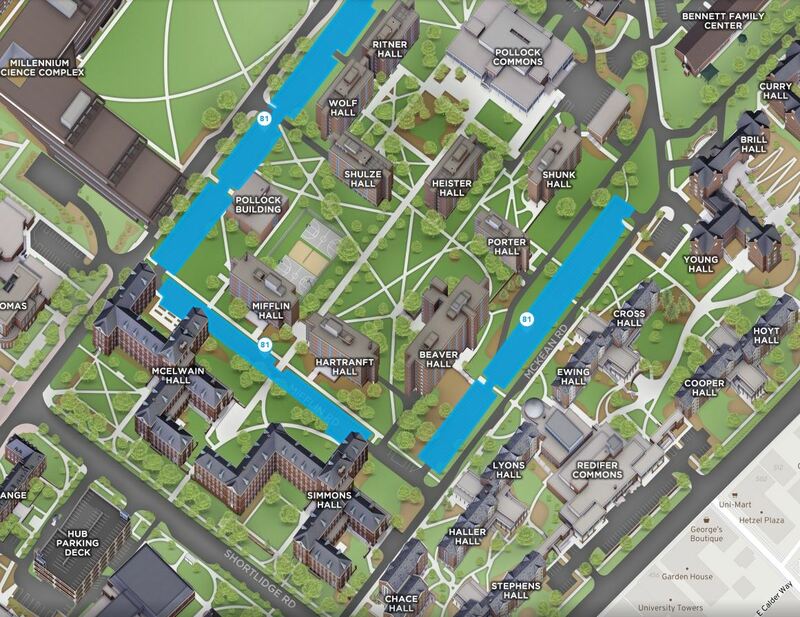 Resident students who have completed at least 29.1 approved credits may register for 24/7 on-campus parking, with options based on the the location of their residence hall area and current availability. There is no minimum credit requirement for summer session parking. All resident student permits are sold on a first come, first served basis. Visit the Student Parking Regulations page for all complete list of student parking rules and regulations. Blue 22 permits are restricted to students with at least 29.1 approved credits completed living on campus at Eastview Terrace. 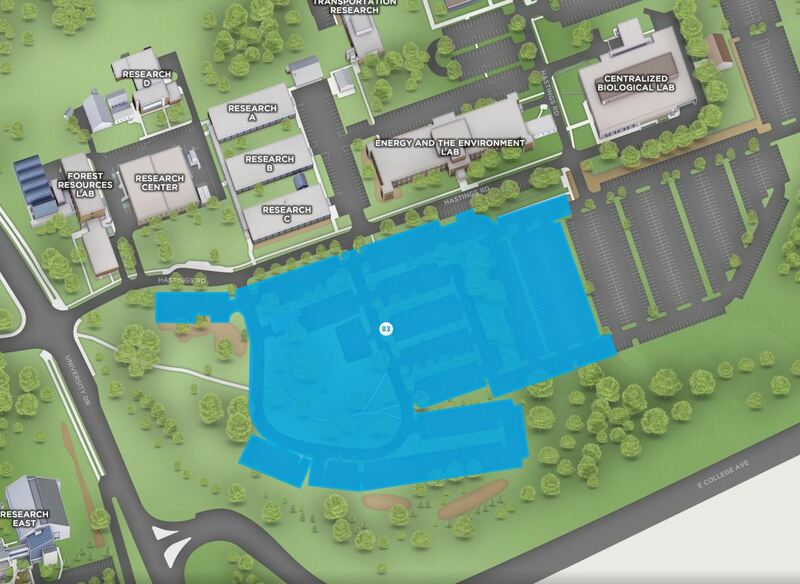 Blue 42 is comprised of five parking areas located along McKean Road (highlighted in blue on above map). 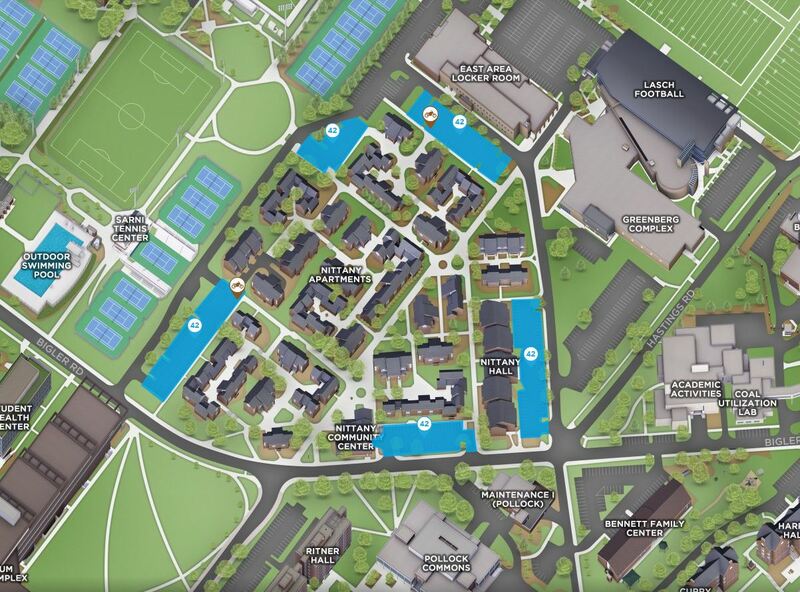 Blue 42 permits are restricted to students with at least 29.1 approved credits completed living on campus at Nittany Apartments. Blue 81 permits are restricted to students with at least 29.1 approved credits completed living on campus at South Halls and Pollock Halls. Blue 82 permits are restricted to students with at least 29.1 approved credits completed living on campus at East Halls or North Halls. 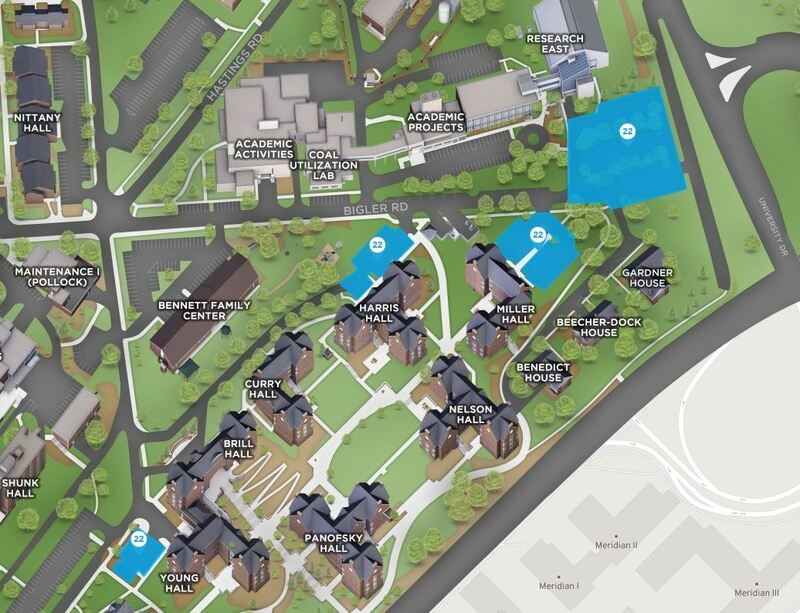 Brown 11 is comprised of five parking areas (highlighted in brown on above map), each accessible from W. Campus Drive via N. Patterson Street and W. College Avenue. Note: The permit fee is included as part of the lease agreement for students living at White Course Apartments. 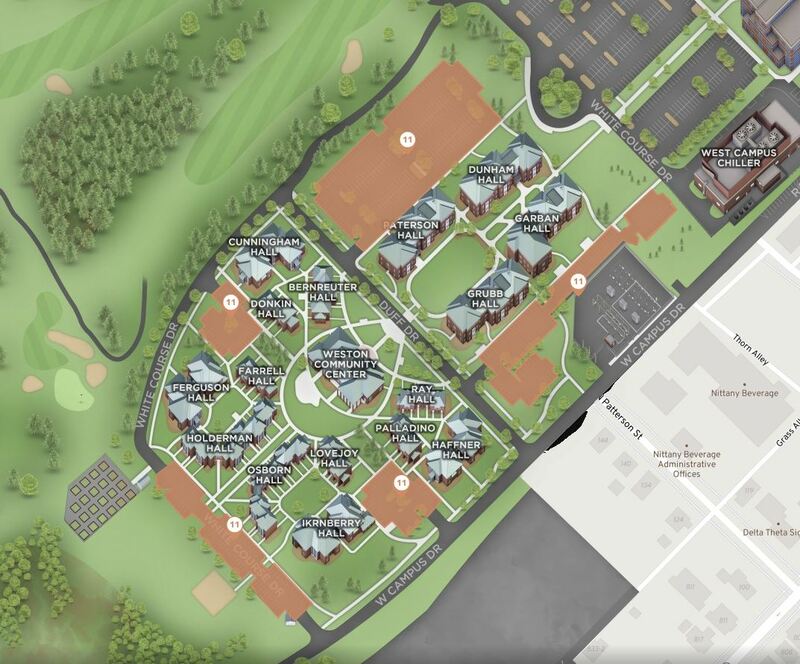 Any undergradiate students residing at White Course Apartments must have at least 29.1 approved credits completed to be eligible for White Course Apartments parking. 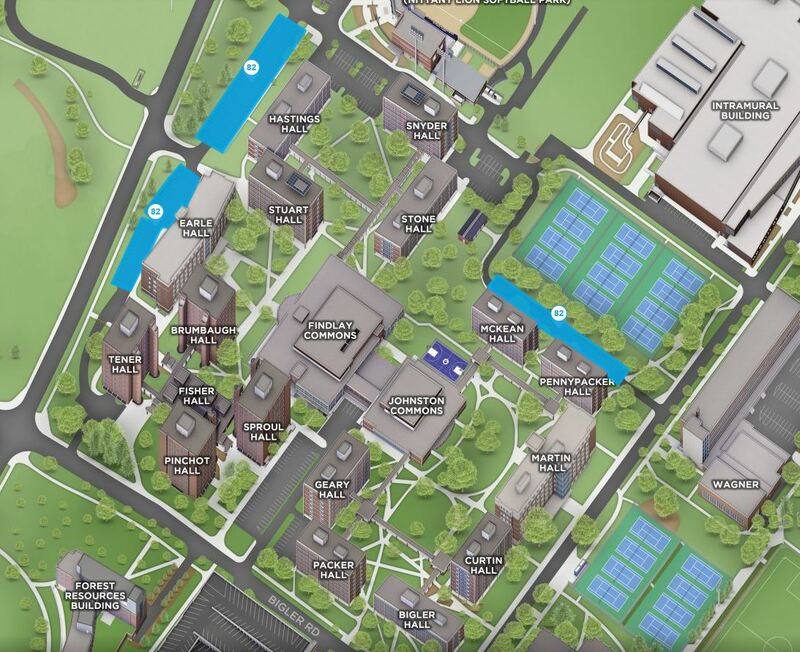 Brown 11 permit holders must park in Lot Brown 11 between 2 a.m. and 4 a.m., seven days a week. 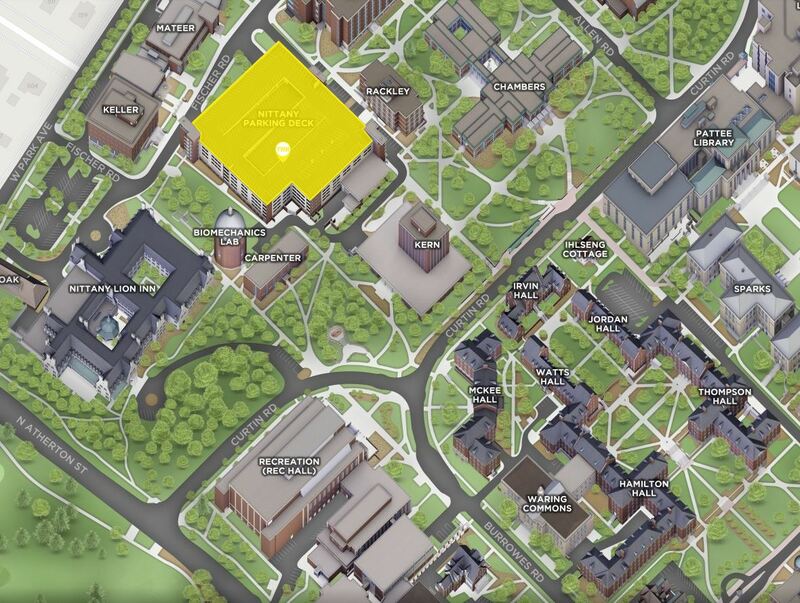 YWH is the student designation for the Nittany Parking Deck (highlighted in yellow on above map), located on Fischer Road near the Nittany Lion Inn. Blue 83 is located along Hastings Road, just east of University Drive (highlighted in blue on above map). Blue 83 permits are valid for residence hall loading/unloading for up to 15 minutes, provided that four-way flashers are in use and vehicles are parked in a legal, non-reserved space in the associated resident student parking area (Note: West Halls students should use Lot Brown E for loading/unloading when needed). Blue 83 East has become part of Lot 43 and is no longer available for use by Blue 83 permit holders. Blue 83 West is now known as simply Blue 83 and is the primary parking for Blue 83 permit holders.